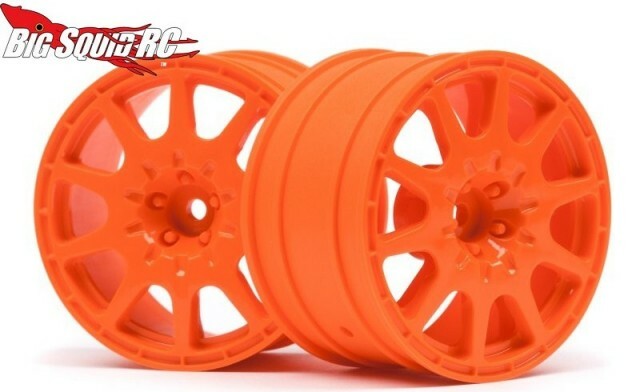 HPI Orange WR8 Method Rallycross Wheels « Big Squid RC – RC Car and Truck News, Reviews, Videos, and More! HPI has come up with a way for your WR8 Rally Car to really stand out in a crowd, their new bright Orange 35mm Method Wheels. Officially licensed by Method, their bright color and cool design can drastically change the look of your car. Also, these were made to be a perfect fit for several of HPI’s 2.2″ on-road tires, making for an easy install. The part number for the wheels is #113688 and you can get more information over on the official HPI Website. Get More HPI news on BigSquidRC.